Two candidates for Prince George’s County Executive were noticeably absent Sunday from the candidate forum organized by the Partnership for Renewal in Southern and Central Maryland. The name cards designating space for Sherriff Michael Jackson and Councilman Tony Knotts were placed on the table in front of two empty chairs at St. Paul Church in District Heights. Another event organizer removed the signs and ripped them. Jackson and Knotts could not be reached for comment. The other four candidates, Rushern Baker, Samuel Dean, Gerron Levi and Henry Turner Jr., each answered four questions about development around metro stations, police misconduct, high foreclosure rates and education. Baker, who is a former state delegate, emphasized job training, police training, accountability of executive appointments, recruitment and professional development of teachers. Baker called the public education system the county’s “calling card,” saying that good schools bring investment into the county. Dean, a county councilman, emphasizing his experience said, “county executive is not an on-the-job training position.” He spoke of legislation he introduced as a member of the council to expedite county development process, his experience in human resources to find the most qualified people and called for the county executive to have more control over how funds for education are spent. Levi, a state delegate, said her 10-step plan for the county addressed the most pressing issues, including executing development plans already in place, employing strong citizen oversight of police activity, utilizing grant money and non-profits, and cutting suspension rates in public schools. In 2009, she secured a $1.1 million grant for an advanced math program for county students. Turner, a senior acquisition analyst at the Pentagon and chairman of the Prince George’s Veterans Commission, found solutions in resources within the community. He suggested forming partnerships with local mayors and universities to fuel job growth, passing legislation that would give advantages to county residents seeking law enforcement jobs, working with regional and local banks for home loans, and using families and churches to support students. 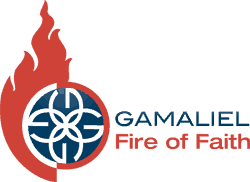 PRISCM, an affiliate of the Gamaliel Foundation, is a partnership of 29 community-minded organizations in Southern and Central Maryland, mostly churches and religious groups. The event was co-sponsored by Casa de Maryland, an advocacy group for low-income Latinos. Questions had been developed by the organization over a year of meetings about the community’s vision for the county. The forum ended with each candidate pledging to meet with PRISCM quarterly to discuss the concerns of the community, should they be elected. 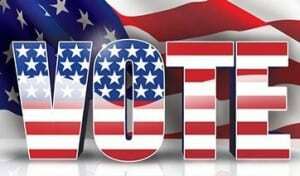 Elections will be held Tuesday, Nov. 2.